Sergeant Snively coaches two Explorers on the proper technique for handcuffing. The Explorers in Post 514 at the Brookhaven Police Department spend one night a week learning the basics of law enforcement. On any given week they could be practicing traffic stops, learning how to safely handcuff a perpetrator or riding along in the cruiser with an officer on patrol. The Exploring program is a unique career exploration program for young men and women ages 14-20. It provides students with an opportunity to learn about a wide variety of career fields and network with professionals already working in those fields. Post 514, chartered to the Brookhaven Police Department, teaches Explorers about careers in law enforcement. “I had always been interested in law enforcement, since I was a little kid watching Cops on TV, but its totally different from that …the program has been great for teaching me what a real life career in law enforcement is like,” says Explorer and high school senior Will. “It was mind blowing to start from the beginning…and to be able to set up the program how we wanted it to be,” said founding member Sean, who has been involved in the Post for two years. Sergeant David Snively became interested in law enforcement when he was involved in Exploring as a high school student. When he joined the Brookhaven Police he was excited by the opportunity to start a brand new Post in the department. “It’s been great to watch the Explorers build it up, and they’ve had a ton of success so far, they’ve never left a competition without a trophy,” Sergeant Snively said. 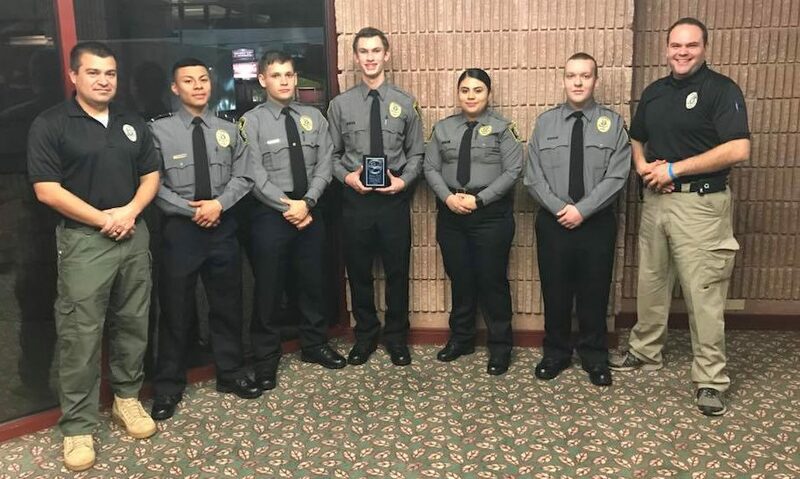 The Brookhaven Post has competed in skills challenges at the past two Exploring Winterfest events where they’ve placed in law enforcement competition against other Posts from throughout the Southeast. It’s not just about the trophies and the competitions though. Exploring has changed the way these young people view their community. Detective Van Alen, the Explorers of Post 514 and Sgt. Snively pose with an award they won at a recent competition. Exploring Post 514 is chartered to the Brookhaven Police Department in Brookhaven, Georgia. Click here for more information on the Exploring program.